Andy, Andrew and Anne Hallet of Hallets Cider. Picture: Rob Evans. Salieri’s love for the music, if not the man, is intoxicating; a glimpse into why classical music is so revered. There’s more than a little of that intoxication in the With Love Project, stories of craftspeople who produce work with genuine passion. 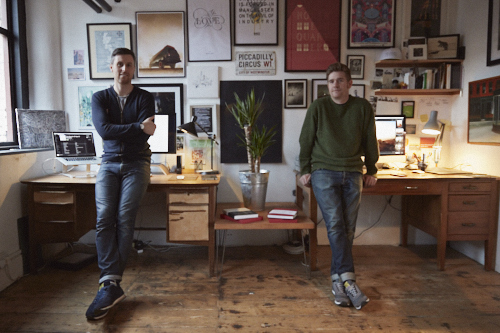 For the past three years, art director Chris Roberts and photographer Rob Evans have zigzagged the country, meeting nearly 40 British makers from all walks of life, from tailors to wheelwrights, from scallop divers on the isle of Skye to a British tea plantation in Cornwall, interviewing, photographing and filming as they went. The result? The Backbone of Britain, a hefty tome celebrating producers and makers, including traditional furniture makers at the top of their game, motorcycle manufacturers hand-building by eye, wheelwrights who can trace their family trade back to the 1300s and tailors who've produced suits for Pavarotti. Underlying every story is s a single question: “why do you do what you do?” The answers are, by turn, moving and surprising. David Oakes, Sconser Scallop. Picture: Rob Evans. Inevitably, talking to people has wrought personal transformation in Evans and Roberts. Evans gives the example of Hiut Denim, one of the earliest makers the pair visited. Huit has revived Cardigan’s once thriving denim industry, re-employing real skills that were in danger of being lost. The cuts are classic, the denim built to last. With Love's two books capture and explore many current concerns - about ethical practice, about mass production, about transparency and about quality vs quantity - in very direct ways. And, in capturing and reporting on passion, for Evans and Roberts, With Love has become a passion project in its own right. “We’re into people’s stories,” laughs Evans. “AndI like having those conversations. For a short period of time, people invite us into their lives for a short period of time." The next day, the pair found themselves sitting on abeach near Arbroath, eating warmly, freshly smoked haddock smokie maker Iain Spinks. “With the sea lapping up. just another beautiful moment,” remembers Evans, fondly. Two to cherish in as many days. High five, Salieri.